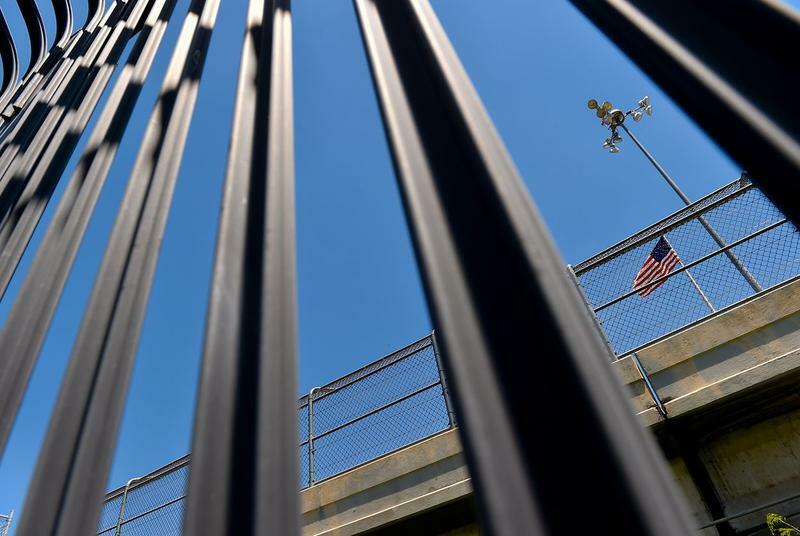 An American flag flies over the international bridge at Eagle Pass, seen through the border fence. The American Civil Liberties Union is asking all 10 judges on the U.S. Court of Appeals for the D.C. Circuit to review a Friday ruling that delayed an abortion procedure for a undocumented teenager under federal custody in Texas. A three-judge panel from the appeals court ruled 2-1 on Friday that the minor would not immediately have access to the abortion she requested. Instead, the federal government would have until Oct. 31 to find a sponsor to take custody of the teen and transport her to an abortion clinic to have the procedure. However, one of the judges in the panel disagreed with the majority's decision. “Forcing her to continue an unwanted pregnancy just in the hopes of finding a sponsor that has not been found in the past six weeks sacrifices J.D.’s constitutional liberty, autonomy, and personal dignity for no justifiable governmental reason,” Judge Patricia A. Millett wrote in a dissent to the ruling. The emergency petition asks the full D.C. Circuit Court to rehear the matter and vacate last week's appeals court ruling. The ACLU is also asking the full court to deny the Trump administration's request to stay an earlier District Court ruling that ordered the federal government to transport or allow the girl to be transported to her abortion appointments "promptly and without delay." In an official response, attorneys defending the Trump administration urged judges to deny the petition, arguing the Court of Appeals will have the opportunity to review the decision after the Oct. 31 deadline if Jane Doe, as she's referred to in court filings, isn't assigned a sponsor by then. They also reaffirmed that the teenager has the option of returning to her home country to seek an abortion and that the federal government doesn't need to facilitate her abortion. Doe received the court authorization required for an abortion on September 25. 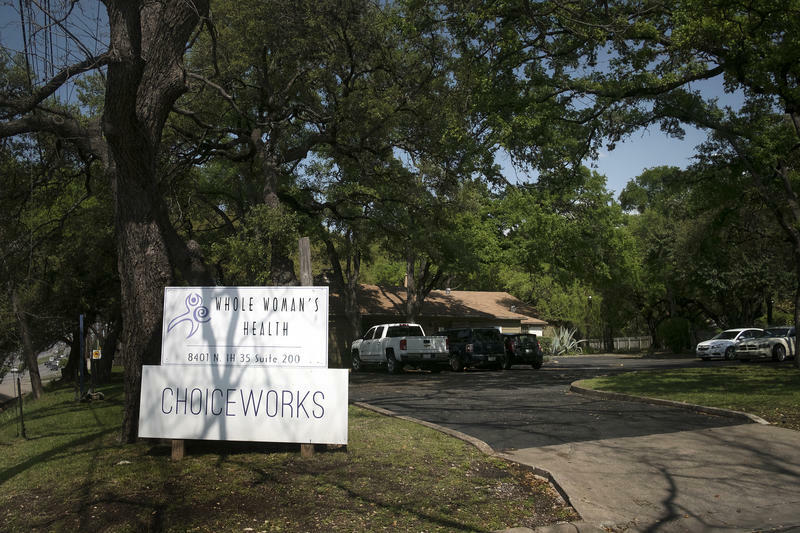 Under Texas law, minors need their parents' permission or a court order to have an abortion. But the federal Department of Health and Human Services has not allowed Jane Doe to leave the shelter where she is living under federal custody in order to get an abortion. The Office of Refugee Resettlement – a sub-division of HHS which oversees the shelter – has also refused to transport the minor themselves. Doe is 15 weeks pregnant and Texas law only allows a woman to terminate a pregnancy before 20 weeks. Her attorneys argue that an abortion gets riskier as her pregnancy progresses. In the emergency petition filed Sunday night, the ACLU states that "our government has held her in this unlawful position for almost a month; this Court should not allow this injustice to continue any longer." According to the organization, the decision violates Supreme Court precedent on abortion. 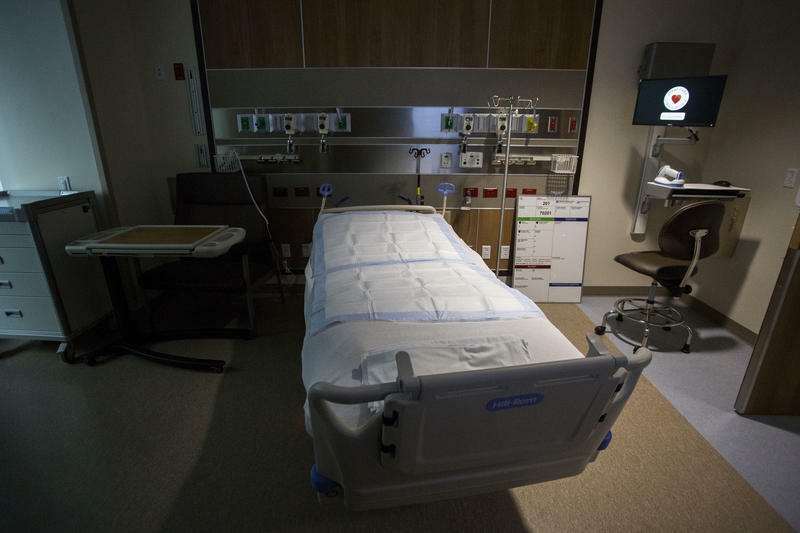 "The panel majority's decision allowing the federal government to continue to block J.D. from accessing abortion violates decades of well-settled Supreme Court precedent that holds that the government may not impose an undue burden on – or, as in this extraordinary case, completely block – a woman's ability to obtain an abortion," the attorneys wrote in the petition. The ACLU wasn't the only one unhappy with Friday's ruling. Texas Attorney General Ken Paxton, who had filed an amicus brief with the court defending the Trump administration's policy of preventing abortions for unaccompanied, undocumented minors, expressed disappointment that the court had affirmed Doe's right to an abortion, albeit delaying it. “Unlawfully-present aliens with no substantial ties to the U.S. do not have a right to abortion on demand," Paxton said in a press release. "Texas must not become a sanctuary state for abortions."